Wanting to add a color boost to your locks but looking something softer than neon green or hot pink? 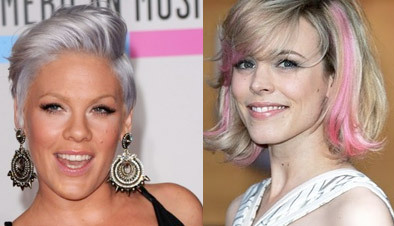 A pretty pastel hue may be just what the stylist ordered! The pastel color trend is feminine and glamorous yet playful and fun. From baby blue streaks to an allover peach, the pastel colors can be worked a variety of ways to create a look unique to you and your personality. Try lavenders, soft pinks, apricot hues or a minty green pop to add some fun to your ‘do in the form of all over color, streaks or highlights. An extremely popular way to wear the pastel is in an Ombre highlight where only the ends of your hair are colored. From the fashionable Olsen twins to rocker chick Pink to sweet Rachel McAdams, celebs and runway models alike have embraced this soft color trend and made it a style to consider. Just like any color, this can be as over or understated of a look as you like. 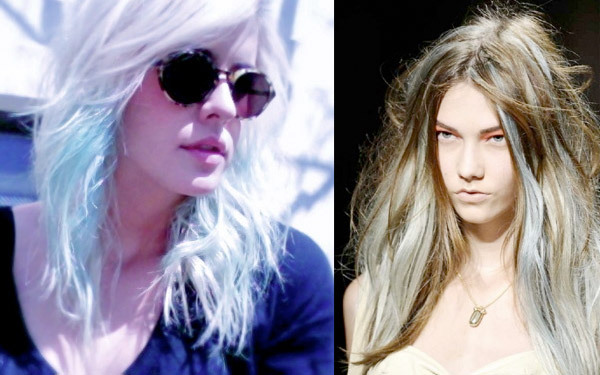 Tell us… is a pretty pastel right for your color-thirsty tresses?